Plot: Jackson Maine (Bradley Cooper) is a famous country music singer secretly battling an alcohol addiction and slowly losing his hearing. After one of his concerts he stumbles into a drag bar where he witnesses an amazing vocal performance from waitress Ally (Lady Gaga). The two strike up a relationship, both professional and romantic that sees Ally’s star ascend while Jackson becomes consumed by addiction. 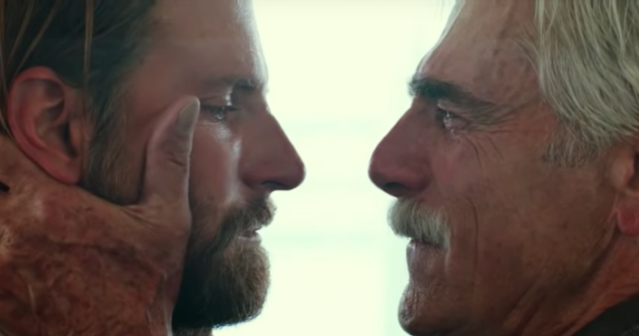 Review: Full disclosure–A Star Is Born is not my typical fare. I’m not much of a romance cinefile, although strictly speaking Bradley Cooper’s directorial debut is more drama than romance. Add in the fact that this is now the third time this film has been re-made, and my interest in seeing this movie was almost nil. However, upon listening to some of the reviews/buzz coming out of TIFF and thinking this might be a good date movie with the wife, I decided to give it a shot. And I’m glad I did because A Star Is Born isn’t just good, it’s excellent. 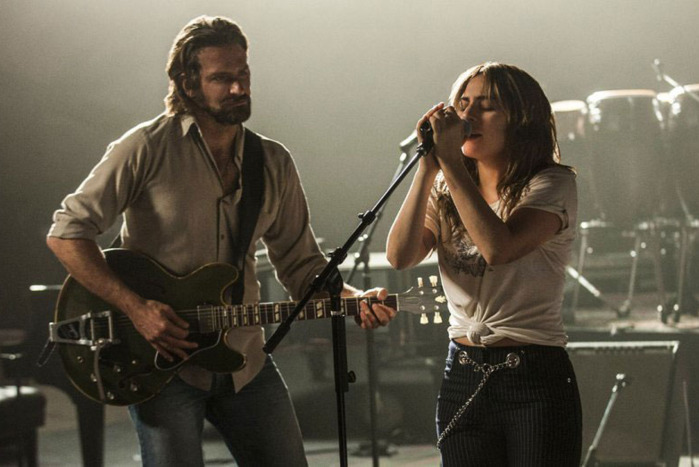 Rife with stellar performances across the board and a strong screenplay from Eric Roth, A Star Is Born manages to be both a crowd-pleaser and a solid drama in its own right. Roth manages to take a somewhat tired trope and breathe new life into the story. 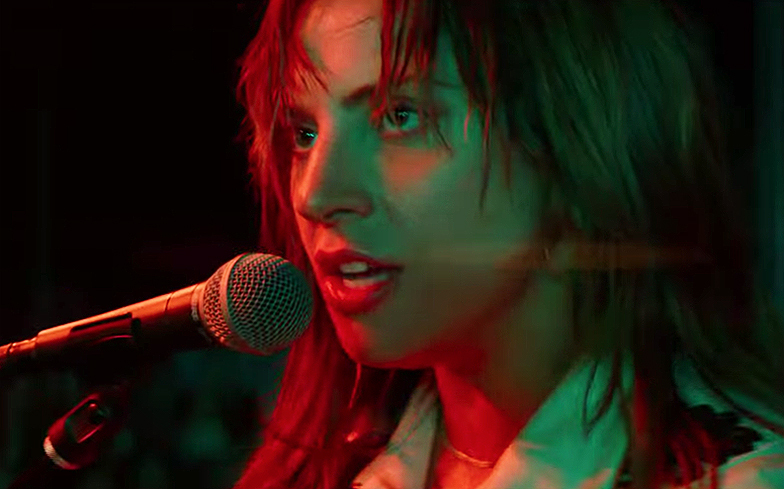 Even though A Star Is Born hits all the beats you might expect, that doesn’t take away from its entertainment value or emotional heft. With Roth’s script (Cooper and Will Fetters also share writing credits) every moment feels fresh, every character’s evolution and development earned. Roth’s script would be superfluous without great actors to flesh the page out and thankfully the acting talent in A Star Is Born flows like fresh gin from Jackson Maine’s bottle. While both Dave Chappelle and Anthony Ramos give great performances as Jackson and Ally’s closest friends Noodles and Ramon respectively, their work pales in comparison to two other supporting roles. Andrew Dice Clay (yes THAT Andrew Dice Clay) gives an unexpected and delightful performance as Ally’s Dad, a limo driver and former crooner who believes he was better than Sinatra but never got the chance. He’s a lovable schlub who supports Ally 100% and is amazed by her talent. Clay shows real range here, at times acting the child (Ally constantly berates him for some of his habits, playing the parent to her own father) at other times fiercely protective (like when Jackson’s drunken debauchery humiliates Ally at the Grammys). Sam Elliott is even better as Jackson’s manager and much older brother Bobby. Elliott has had a storied and multi-faceted career in his fifty plus years in the business. His turns in films like Tombstone and Thank You For Smoking, mark him as one of the great character actors of all-time. Yet his role in A Star Is Born may be his most nuanced and touching performance ever. Elliott brings a gravitas and vulnerability to Bobby unlike anything he’s ever done before. You can see the struggle and the toll it’s taking on Bobby to watch his younger brother gain fame and fortune yet struggle with addiction. There’s a bitterness blended with love that jumps off the screen. I wouldn’t be surprised if Elliot’s performance earns him his first Oscar nomination for Best Supporting Actor. And for those of you thinking the role of an aspiring pop star is just a lay-up for Lady Gaga, think again. She’s the real deal in this movie. A Star Is Born proves that Lady Gaga’s turn in American Horror Story: Hotel wasn’t a fluke. She can flat-out act, full stop. Gaga’s Ally is a fully formed character that grows and transforms for the better throughout the film. And thankfully each moment, whether it’s singing for the first time on stage or standing up to her husband, feels earned. Ally doesn’t abandon Jackson in the midst of his addiction and there’s several poignant scenes between Gaga and Cooper that reflect why this makes sense in the context of the film. It also helps that the two have real chemistry. Gaga is a shoe-in for a Best Actress nomination and there’s a very good chance she could actually walk away with the trophy. As for Bradley Cooper, this may be the performance of his life in a career that’s already earned him three Academy Award nominations for acting. His performance as Jackson Maine has an understated quality to it that was quite surprising. While “Jackson Maine” is larger than life on stage, away from it he’s just “Jack,” somewhat quiet and unassuming even though he’s choking on his addiction. Cooper’s emotional reserve pays off in a scene late in the film at a rehab center where he’s forced to confront some of the emotional pain he’s caused Ally. That scene really hit home for me in a personal way and made me empathize with Jack in a new and profound manner. Yet as great as Cooper’s acting is in A Star Is Born, his talent behind the camera exceeds his performance. This is no small feat considering this is Cooper’s directorial debut. If Cooper’s subsequent films are on par with A Star Is Born, audiences could be in for a real treat for decades. Cooper has a skilled eye in his own right and A Star Is Born feels like his own vehicle, to the point where I doubt there was little if any studio interference in this one. Of particular note is how Cooper frames shots. There are tracking shots reminiscent of Aronofsky and Cuaron. Additionally, the scenes on stage with Jackson often times come off frenetic to reflect Maine’s alcohol and drug addled state. Yet Cooper is able to go from the grandiose to the very personal, whether it’s an intimate scene in the tub between Jackson and Ally or a ten second shot of Bobby backing out of a driveway, a shot that lingers on his tortured and haunted face just long enough. I’d be remiss if I didn’t mention the music in A Star Is Born which is nothing short of brilliant. Lukas Nelson (son of Willie) wrote several of the songs for this film. In total there are nineteen tracks performed by both Gaga and Cooper, each special and awesome in their own right. 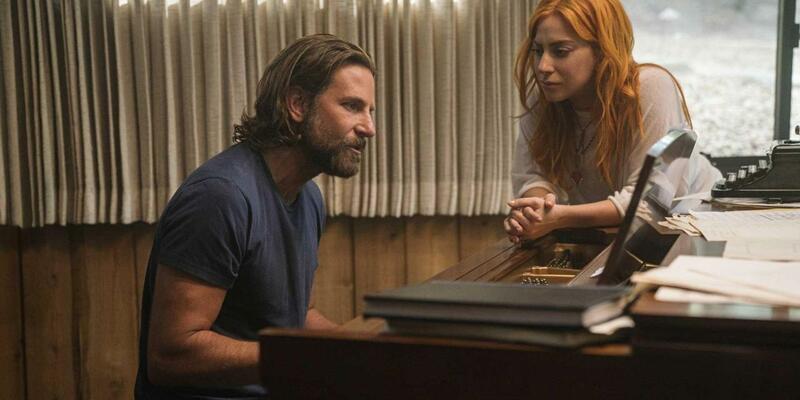 “Black Eyes,” “Maybe It’s Time,” “Shallow,” and “I’ll Never Love Again,” are only a few of the incredible songs the film contains. A Star Is Born is sure to win the Oscar for Best Song, it’s only a matter of which one it will be. Top to bottom, A Star Is Born is one of the standout films of 2018 and ranks up there among the best I’ve seen this year.